Over/Under: Over 156.5 at 1.90 Bet Now! Both teams may be at the opposite ends of the spectrum but they will both be desperate for a win in Spain on Thursday night. The hosts know that a win allied to their current 4-3 record will see them celebrating a Top 16 spot. For the away team, currently bottom with a 2-5 record, a win and other results going in their favour, could see them in the qualification spots for the next round of games in the Euroleague. 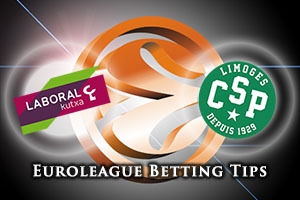 Laboral absolutely pounded Limoges when they clashed in Round 3 with the away team triumphing by a score of 71-107. That game saw Darius Adams in excellent form and he managed to clinch the weekly MVP for that showing. A home win and a loss for EA7 Milan would see Laboral enjoying a qualification spot on Thursday night and given that they are unbeaten at home so far, they will likely feel confident about grabbing the win to keep up their end of the bargain. Ioannis Bourousis has been one of the star players of the Euroleague so far this season and if he sparkles, Laboral could be in for a special evening. Knowing that a win could not only take them off the bottom of the group but potentially into fourth spot, Limoges have to be keyed up for this game. If they are going to get back to winning ways after back-to-back defeats, they will need players like Ali Traore, Nobel Boungou-Colo and Leo Westermann to deliver strong performances. It will be difficult but the French side need to keep believing and play to the top of their level. There may just be something to celebrate for the Limoges fans if the key players can stick to their strengths on Thursday evening. The hosts are hugely favoured in this game and it is easy to see why. 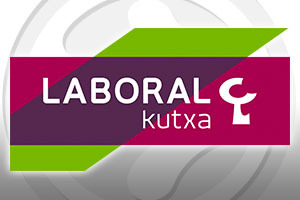 Even though they are strongly backed, you’ll find that taking Laboral Kutxa Vitoria Gasteiz with a -14.5 handicap, at odds of 1.90, is likely to be an interesting bet for Thursday evening. If you want to get involved with the Over/Under market, look to go OVER 156.5 at odds of 1.90. Bet Now!